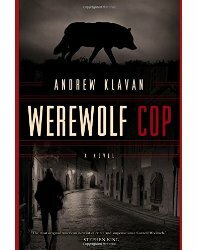 Werewolf Cop by Andrew Klavan | What Would The Founders Think? Liver function tests may be advisable more zithromax to buy frequently in patients..
Klavan's latest novel is both entertaining and thought provoking. It's the story Zach Adams, dubbed "The Supercop" by the press, after saving a child from a ruthless psychopath. But this cop, is no ordinary superhero - he's a werewolf! Andrew Klavan’s latest novel is both entertaining and thought provoking. It’s the story of Zach Adams, dubbed “The Supercop” by the press, after saving a child from a ruthless psychopath. A chance photograph of Adams holstering his weapon like a cowboy hero of yore strikes a chord with the public and catapults cowboy Zach and his partner Broadway Joe to brief celebrity status. Unfortunately for Adams, happily married, but coming off the unavoidable high which comes from instant celebrity, and missing the adrenaline of the chase, a beautiful nutcase is able to lure him into an extramarital shtup, which he almost instantly regrets. Klavan’s portrayal of Adams guilt and regret is a cautionary tale in and of itself, but serves as the initial representation of the book’s overall theme. Although not quoted directly, one can relate to the words of the apostle Paul. 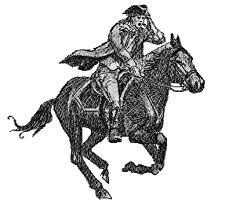 At his core, Adams is man who believes in God, but seeks to keep him at arm’s length. But even this wary belief might be enough. Zach blinked, confused — … In werewolves?” he said. Silver is the metal that conducts the best. Head. Electricity. But not just that. More. More mysterious things too. It is not the bullets that will do the death-work, you see. It is your “Yeah, sure”. That. The silver conducts that as well. And the struggle between the good and the not-so-good parts of Adams’s nature begins. The world in which Werewolf Cop takes place is one on the verge of apocalypse. Europe is disintegrating, the people are rioting and governments are falling right and left. The old woman has an explanation for this too. “We see the violence now, the riots, the burning, and we think, “Ach, it is destroying us,” Gretchen Dankle continued. “But no, this is not the case. It is not the violence. It is the peace, the too-much peace that came before. We were already destroyed –inside, you know–before the rioting began. You see, where there is not spirit, there is only flesh. Where there is only flesh, there is nothing but pleasure and pain. Where there is nothing but pleasure and pain, who would choose pain? Who would choose conflict? Who would not choose peace? “Well, peace … peace is always a good thing,” said Zach because he thought he ought to say something, even though he hadn’t the slightest clue what they were talking about. …. Ultimately, Zach Adams has to overcome his own inclinations and realizes the truth of the old lady’s words when reflecting on the choices of another character in the book. … And he believed in nothing, nothing that was worth dying for anyway. Why should he not then live? It was as Grace had said. In his hour of darkness, when doing what was was wrong made perfect sense, he had nothing to keep him from corruption. Because it’s difficult to write a review of a suspenseful novel like Werewolf Cop without spoiling it for someone who has not read it, (and this is too good a book to spoil), this reviewer will only offer one more observation about the story, in anticipation of one potential criticism — Deus ex machina. Certain of the events in the book initially seemed too pat, too convenient. But, after reading the book from start to finish, it becomes obvious that this is the point. There is a symmetry in the universe that makes the implausible plausible. That very symmetry is a big part of this story. God plays a subtle role in Klavan’s story, while the Devil takes an obvious and overt one, but God is there nonetheless – right there in the machinery.